The simple act of gift-giving has become extremely complicated. I blame that on the consumer credit industry. Think about it: You can be completely broke but still spend thousands of dollars on Christmas gifts—and believe it is not only your right to do so but that you are obligated to do it. The culture has created a message that we have to spend a lot on Christmas gifts to be socially acceptable. Gift-giving is a custom that has pretty much run amok. But it doesn’t have to be that way. We can choose to make wise and reasonable decisions about the gifts we give. How many of you cannot recall the gifts you gave last Christmas? How about the gifts you received? Come on, let’s see those hands. Okay, that’s just about everybody. It’s not because we’re total ingrates that we have trouble remembering the gifts we gave or even the ones we received. It’s because when it’s all over, the gifts pale in comparison to the joy they deliver—the love and best wishes for the season. That’s what we carry with us from one year to the next. Gifts are tokens of the esteem we hold for people we care about. They deliver our love and our best wishes. Gifts express the fondness we have for another person. Without the care, love, or concern, the gift is empty. Giving a gift just so you can mark a name off a list is a hollow effort that is likely to fall flat no matter how much money you spend. 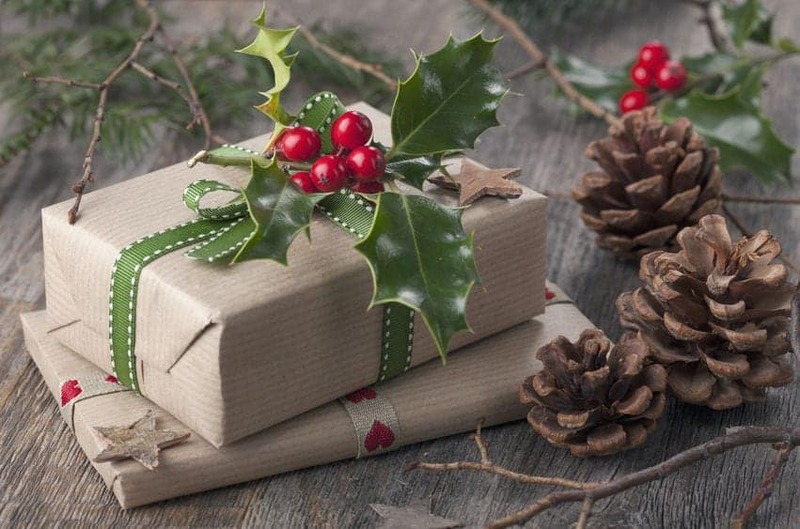 How many of you still have a sense of the joy and good feelings associated with gift-giving that took place in your home and your life last Christmas, even if you cannot recall the specific gifts? Look at that. Hands are going up all over the room! At least some of those gifts did their job. They delivered the joy and the love and then quietly slipped out of the spotlight. Those of you who couldn’t raise your hands may be remembering the stress of finding the perfect gift, the hassle because you waited until the last minute. You might be recalling the guilt for spending money you didn’t have on things you don’t remember and haven’t been paid for yet. If you struggle with the thought that gifts you give must fulfill the recipients’ deepest longing and fondest dreams, think of the gifts you will give in the same way you would think of a special meal you prepare. You want it to be delicious and for your guests to enjoy it thoroughly. But no matter how fluffy your mashed potatoes or delectable the prime rib, it’s still a meal and it will end. Your guests will not continue to eat the meal for months to come, but that doesn’t mean it wasn’t delicious and they didn’t enjoy it. They will take away the memories of the meal and the love with which it was prepared and served. Your gifts should bring a momentary sense of joy, but it’s the memories of your expression that will live on. If you don’t know what to give someone, ask this simple question: What matters to him or her? You have to know this person pretty well to know the answer to that question without inquiring. You almost have to be a detective. You have to pay attention, listen, and observe. Not every occasion requires a gift. Sometimes a card that you buy or make yourself in which you write a really thoughtful sentiment is an excellent way to go. Caring enough to pick out the right card and then taking the time and effort to write in it can say, “I care!” even better than a gift could. Being a responsible gift-giver will help you to be an excellent recipient as well. Knowing that it’s the thought that went into the gift that counts—not the price tag—will help you to be genuinely grateful. You cannot be too grateful. But you can fail to express your gratitude, and that’s always a bad thing. Whether it’s something from your kitchen, your craft room, woodworking shop or computer, there’s just nothing like a homemade gift. A tree ornament, plate of cookies, box of fudge, note cards—these are just some of the kinds of homemade gifts with universal appeal. Do you want your gift to say how much you care? Then find a way to show you care about what matters most to that person. Is he or she passionate about medical research? Become a bone marrow donor. An environmentalist? Donate to an organization that reforests and plant a tree in his/her name. Do something that this person will find meaningful and then do it in their honor. Write a description of your experience and give it to your recipient. Often the most meaningful gifts and most difficult ones to give are those that cost no money at all. A gift from the heart is a gift of time and talent. What do you do well? Cook, clean, babysit, garden, sew, drive, shop? Whatever it is, create a unique gift certificate and make what you do the gift that you give: A weekend of babysitting, a day of housecleaning, six hours of errand running—you get the idea. Hint: Follow up within just a few days to set the exact time your certificate will be redeemed. Your recipient may be too embarrassed to remind you to make good on the gift. Worried that your gifts—homemade or otherwise—are too cheap or not just exactly right? All of your doubts will vanish when you include a short note with each of your gifts telling the recipients what they mean to you and the value they bring to your life. The best gift is one that delivers a message of love and joy that remains with the recipient long after the gift has been consumed, used or put away. PREVIOUSLY: Eufy HomeVac | Homemade Wrinkle Release | Is DIY Will Safe?